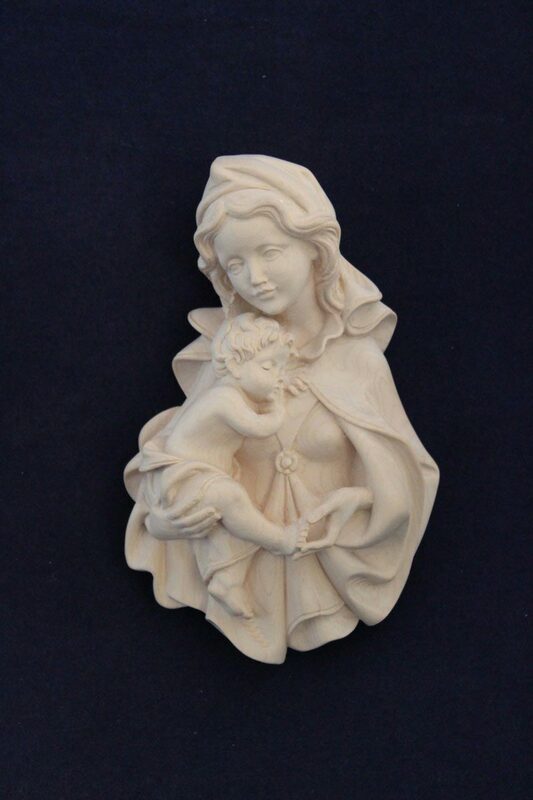 The relief of “Madonna Zeni” is a classical sculpture that depicts, in a loving attitude, the mother who is holding the sleeping baby. 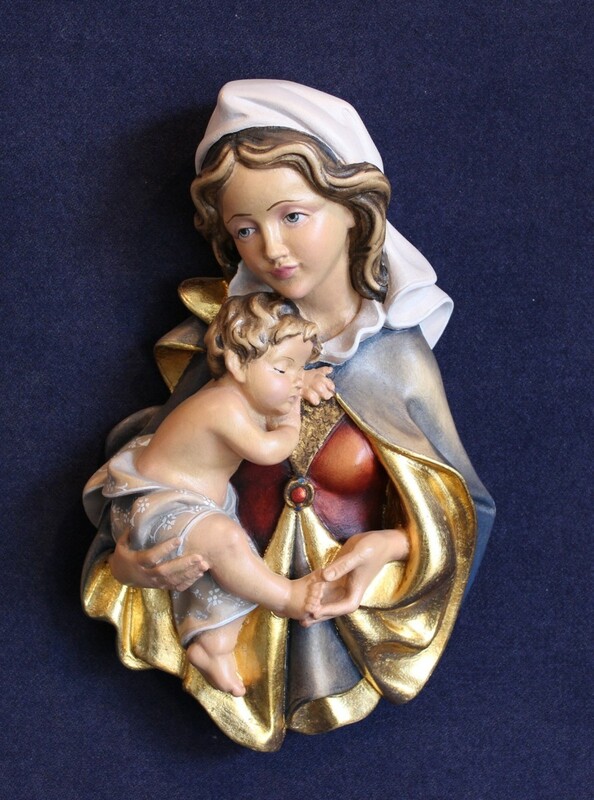 The Madonna with the left hand is holding the foot of Jesus in a context of lines that give movement and force to sculpture. 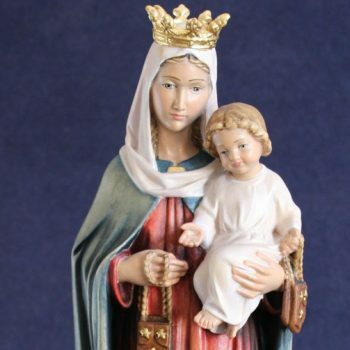 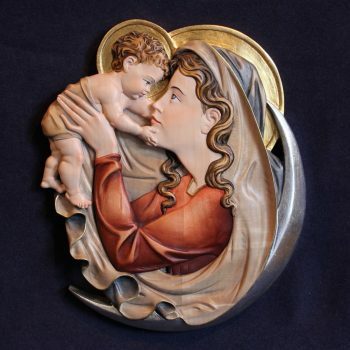 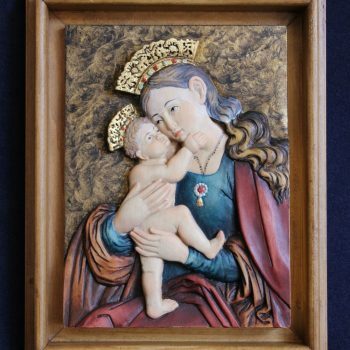 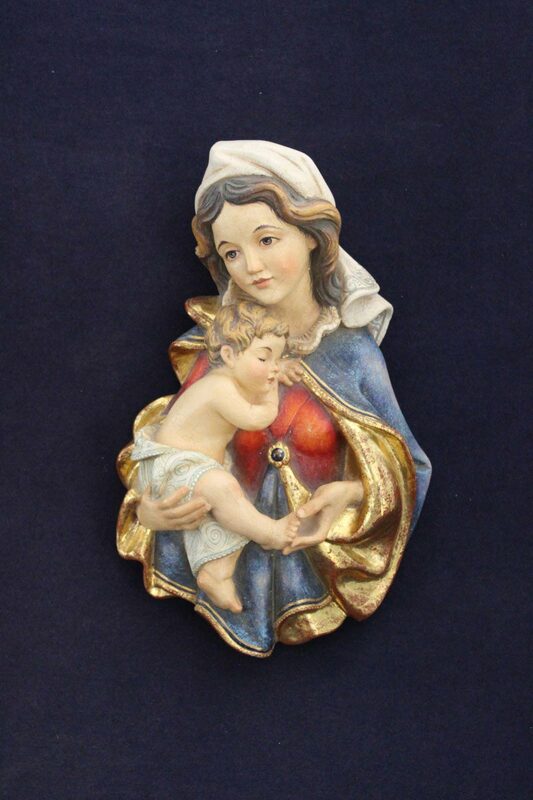 “Madonna Zeni” is made of maple wood up to the dimension of 27 cm . 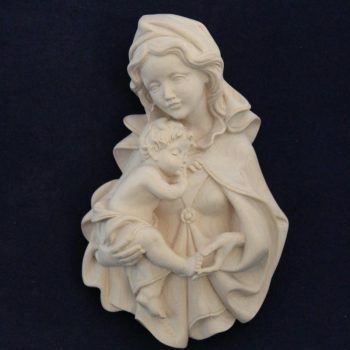 The sizes of 37 cm and 57 are carved in pinus cembra or tilia.